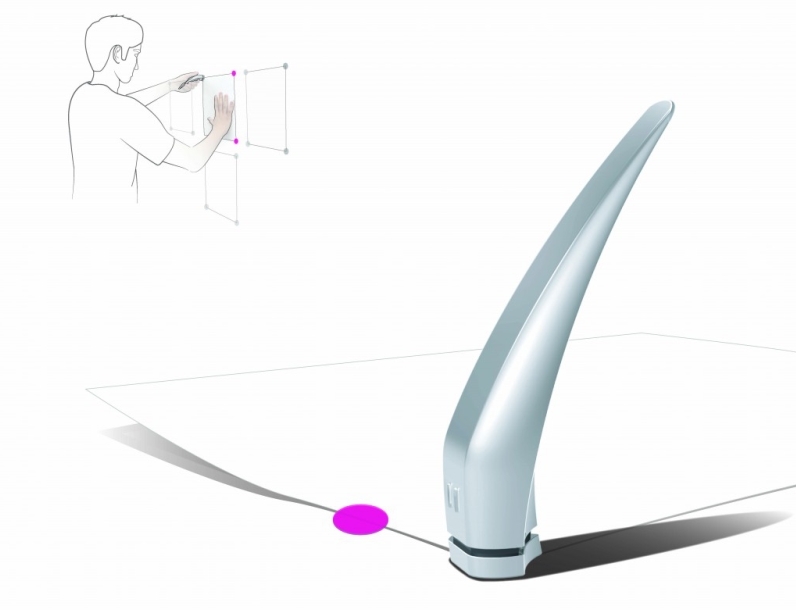 A UNIST design team, led by Prof. Yunwoo Jung (School of Design and Human Engineering) has announced that its O Stamper Design Concept received the prestigious Red Dot Award 2015 in the Design Concept category. The award-winning design concept, O Stamper is a stamping tool that provides an easy way to adhere paper onto the wall using a round-shaped tape (‘dot’ tape) that comes in 5 different colors. According to the team, with existing ways of sticking paper onto the wall, the process of pulling and cutting tape has been much more complicated and annoying, as fingerprint stains often contaminate the tape, resulting in poor adherence. However, because O Stamper uses a cartridge system, one can easily and cleanly remove the tape without causing any damage to the surface. Moreover, physically it can be also used as a presentation tool as there is a laser beam with a proximity sensor that turns on when it reaches the target. “This is a simple and neat design solution especially for those who like to use the walls to facilitate the creating and sharing of ideas,” says Seonghyeon Ahn (School of Design and Human Engineering). First held in 1955, the Red Dot Design Award is one of the world’s three major design awards along with the iF Design Award and the IDEA Award. It breaks down into the three different disciplines “red dot award: product design”, “red dot award: communication design” and “red dot award: design concept”. The award is given for concepts that combine good design with good ideas. For this year, only 5.7% winning concepts emerged from 31 categories with 4,680 entries from 61 countries. 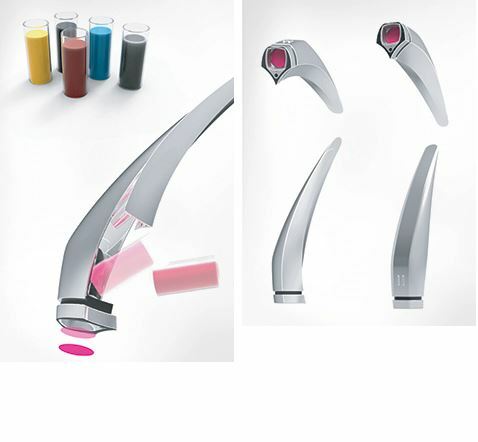 The O Stamper concept defeated over 3,000 other submissions for the award. This year’s Red Dot features six Korea’s major universities and companies, including Prof. Jeong’s team. Prime among these is Hankooktire Co Ltd.’s Boostrac concept tire which received the prestigious Red Dot: Luminary trophy. 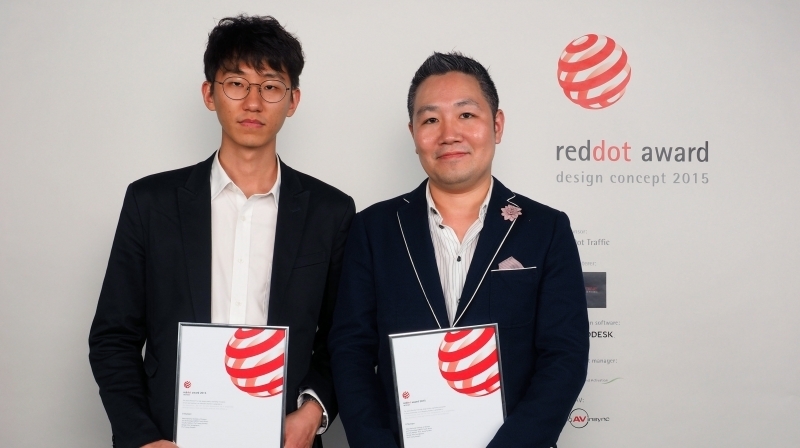 The design concept, Boxchool was co-produced by SK Telecom and KAIST was honoured with the top prize in the competition for ground-breaking design, the Red Dot: Best of the Best. Moreover, Hyundai Motor Company’s Hyundai Collection and KT’s Phonebrella were also recognized for innovative design concepts.